Jack Wills are a British lifestyle and fashion brand known to bring a contemporary flair to iconic classic pieces. As part of their spring and summer launch, they have recently released a new collection of stylish trench coats. Personally, I love the idea behind wearing a trench coat in the summer. Living in the UK means that we usually get hot summer days with regular spots of showers, blustery winds and chilly evenings (bar this mega heatwave we are currently experiencing!) Wearing a trench coat will help keep you a little warmer without bulking on the layers. Honestly, I wouldn't class myself as uber fashionable and I am still trying to figure out my personal style, however, I'm up for the challenge of trying to look somewhat put together and I'm positive that a trench coat will help me to achieve that look. Obviously I needed some help to gather inspiration on how to style a classic trench coat so I had a read of Jack Wills guide on how to style a trench coat. 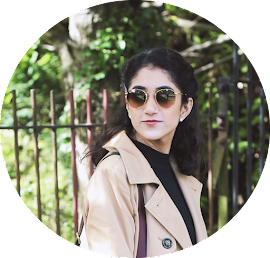 This helped me thoroughly as it not only provided me with some styling tips and ideas, but also gave me a quick run down on the history of trench coats... which I actually found fascinating! The trench was established as far back as the 1850's but it became popular when Thomas Burberry (founder of the Burberry) developed a fabric that was later used to make trench coats for military officers. After that the trend piece was soon on celebrities such as Marilyn Monroe, followed by Audrey Hepburn and now on Alexa Chung! Today, there are so many designs and interpretations of the classic trench. It really is adaptable to your own personal sense of style as the options seem to be endless. Different lengths, cuts and colours are being developed to keep the timeless piece fresh and exciting. This is exactly what Jack Wills are doing with their new stunning collection. I'm currently eyeing up this super cute pink trench coat! Taking some tips from the styling guide, I wanted to keep the look more casual rather than formal. So I decided to pair some light wash blue distressed denim jeans with a loose white tee tucked in slightly. I also wore some white trainers and kept accessories simple by wearing a dainty gold choker, ring and watch. The handbag that appears in some of these shots is a simplistic navy bag, that just ties the whole look together. Plus, the addition of my sunglasses makes it more summertime appropriate and chic looking! By keeping the outfit simplistic and minimal, it makes the trench coat stand out as more of a statement piece. As the coat I have is very long, it makes it the highlight of the outfit. Also, since it is a fairly quick and easy outfit to throw on, it makes it super comfortable and perfect for those days you are in a rush! So that is how I style a trench coat! I can't wait to get more wear out of this in the summer and hopefully purchase a new piece to keep my outerwear wardrobe fresh and exciting! How do you like to style a trench coat? Shop the Jack Wills collection of trench coats on their website. The outfit is very pretty ! I love trench coat with shirt and heels when I want a more elegant outfit ! Thanks lovely. Yes heels would look fab, I wish I could walk in them, haha! You are just gorgeous! You're totally right, I also love how practical the trench coat is to just throw on and it totally MAKES the look! I wouldn't personally go for it during summer times, but it still does suit my style as well. I'm so in love with your hairstyle, though! Trench coats add an extra flare to any outfit, I'm hoping to one day treat myself to a classic Burberry trench because I know I'll never stop wearing it. A Burberry would be the dream!!! Love how you've styled your hair! Love this classic look! I've always wanted a trench coat! I wish we could wear trench coats here in LA it's just waaay too hot! I like how casual but still dashing you look with the trench coat on. I love wearing trench coat too. Such a cute outfit, and beautiful location too!!! Beautiful pictures and great styling of the trench coat, I really like the sunglasses!! Love all the photos, Fatima! The whole look really works well. I wouldn't have expected a trench coat for a summer look, but it seems to work.